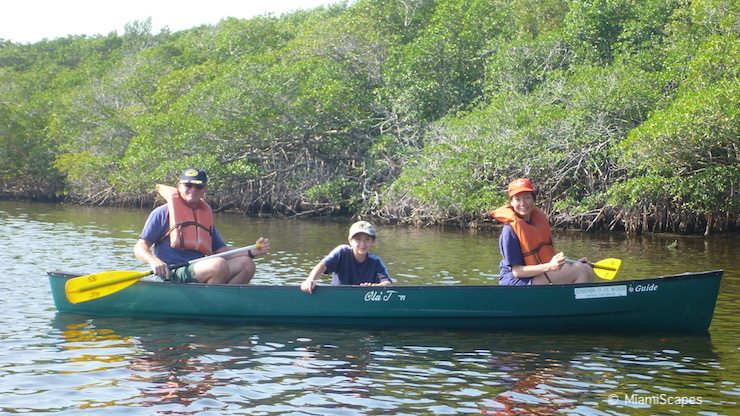 Canoeing and Kayaking in Biscayne National Park are a fun way to explore the mangrove coastlines lining the bay. Along the canals and creeks waters are sheltered and calm which makes it very easy and enjoyable for novice paddlers. Close to shore keep your eyes open for tiny crabs, and underwater you might see snook darting about, rays and even a fleeting view of a manatee snout coming up for air. There's much to see and enjoy if you take the time! 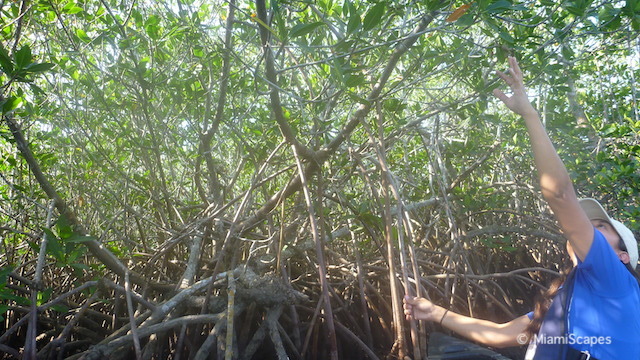 This is a great place also to learn about the mangrove ecosystem, and the different types of mangroves. 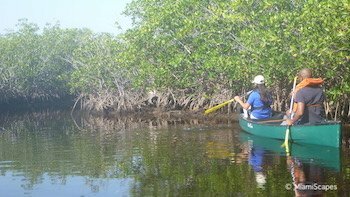 Here's a quick introduction to the Mangrove Ecosystem and its importance. Out on the bay, the waters open up to magnificent views, there are many tiny islands with plenty of wildlife as well. You are free to bring your own canoe, paddleboard or kayak and launch from the Visitor Center jetty or Black Point Marina. There are rentals available through the park's outfitter at the Visitor Center Wednesdays through Sundays only. The canoes, kayaks and paddleboards are all kept neatly right next to the launching site for easy in and out of the water, totally hassle free. There are kayaks, paddle boards and canoes available. Rentals start at 9:30 a.m. Wednesday to Sunday. Last rental is at 2:00 p.m. Wednesdays through Fridays and 3:30 pm Saturdays and Sundays. Reservations are not possible, it is first-come first-served. 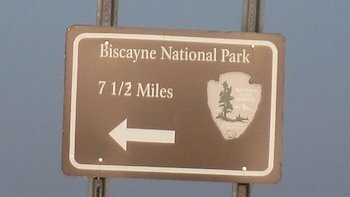 For more info call Biscayne National Park Institute at (786) 335-3644. 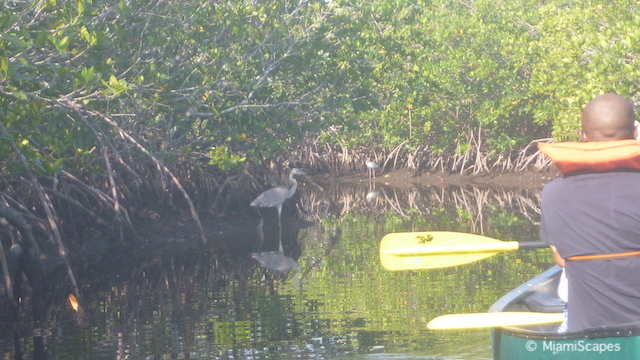 There are also guided morning or full day paddle tours conducted from the Visitor Center. 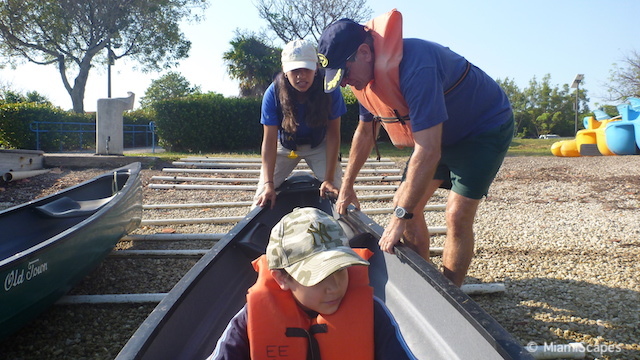 The Morning Jones Lagoon Paddle Eco-Adventure combines a boat trip and guided paddle through Jones Lagoon where you can look for baby sharks, turtles, and the rare Roseate Spoonbill. Paddle over water that's just inches deep and surrounded by amazing marine life. Thursday and Sunday mornings only, cost is $89 per person, ages 12+. More info and booking. There is also a Sail, Paddle, and Snorkel Island Visit conducted daily. 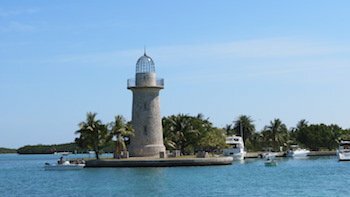 These are full-day trips that bring you to one of the keys, either Boca Chita or Adams Key where you have lunch ashore and then anchor in a protected area where you can swim, paddle, or snorkel. 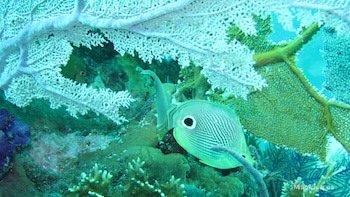 Note that the snorkeling is NOT in the outside reefs. Cost is $149 per person. More info and booking. Mowry Canal Paddle - 2 miles round trip, easiest for beginners. 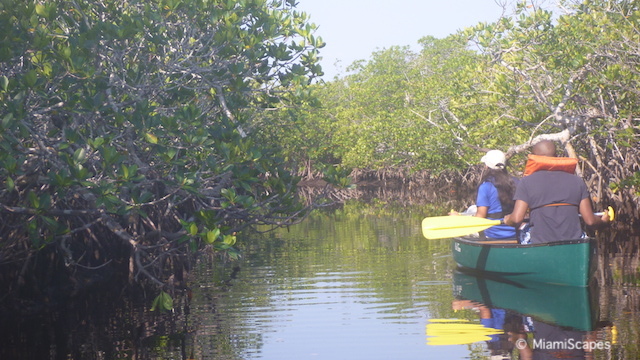 Launches from the Visitor Center and paddles north through the mangroves. Then enters the Mowry Canal and heads inland and back out the same way then circling through the islands back to the Visitor Center. Look for Manatees along the canal during the "cold" season, they love the warm protected waters... See Map. Crocodile Creek Paddle - 3.75 miles round trip. Launches from the Visitor Center and heads out towards the bay and through the mangrove channels circles back towards the mainland and enters Crocodile Creek from the north. 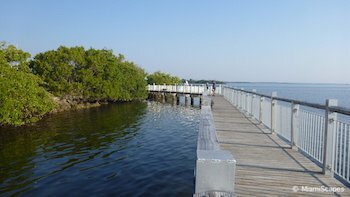 Proceed north along the mangrove coast towards Homestead Bayfront Park and back to the Visitor Center. See Map. Black Point Paddle - 10 miles round trip. 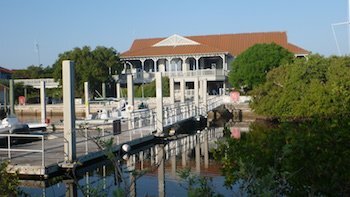 Launches from the Visitor Center and paddles north through the mangrove coastline and canals to Black Point Marina and Ocean Grill. See Map. Deering Point Paddle - 15 miles round trip. 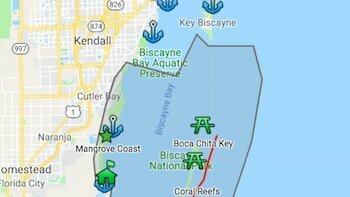 Launches from Deering Point/Snowden's Dam at 17350 Old Cutler Rd, Palmetto Bay and paddles south along the mangroves to Black Point Marina and Ocean Grill and back. See Map. Elliott Key Paddle - 17 miles round trip. Launches from the Visitor Center and heads east out into Biscayne Bay to reach Elliott Key where you dock in the harbor or swim area. There is a visitor center in Elliott Key, restrooms and hiking trails. See Map. 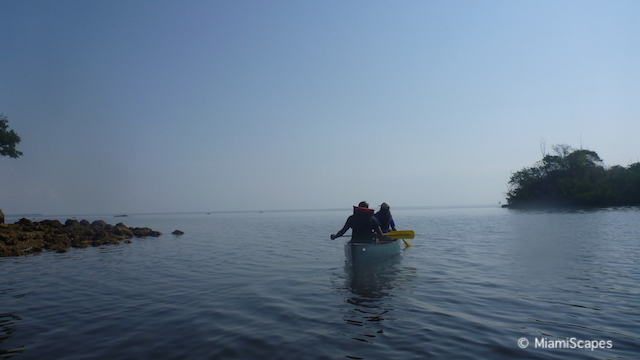 There is also a full day guided paddle and snorkel trip that brings you to Jones Lagoon from the Visitor Center. Tours start at 10:00 am and return at about 4:30 pm. Kayaks, SUPs and canoes are provided, you can bring your own snorkel gear as this might be on limited supply. Tour groups limited to 6 people. Cost per adult $129 or $690 for a private boat trip for up to 6. Jones Lagoon Paddle and Snorkel Adventure More info and booking.